OAKVILLE, ON – Cameron’s Brewing has announced that a beer previously available exclusively in it’s Brewmaster’s Selection sampler pack is now available as a stand-alone release. Bright and clean as the morning dawn, First Light is perfectly aged and cold cellared for a perfect balance and satisfying refreshing finish. Look for a light floral character, subtle maltprofile and a delicate smooth taste all in this session light lager. 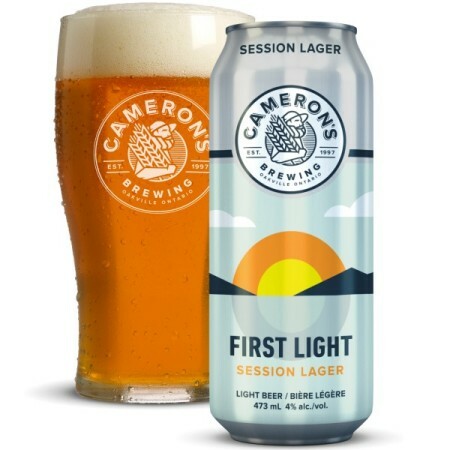 First Light will be available in 473 ml cans at Cameron’s and select LCBO outlets.